I’d like to share with you my latest work, Drowning Cone/Glowing Cone. It deals with impermanence and the fragility of existence: glowing one minute, drowning the next. Nor is this phenomenon limited to cones. The work could also be experienced as a metaphor. As part of National Cone Week I am giving away a mystery prize to anyone who can name the original location of each cone. 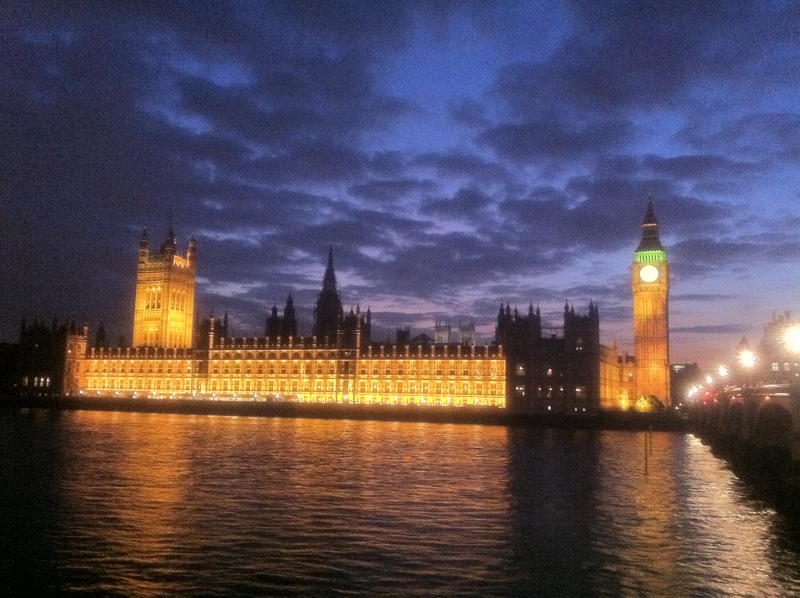 Tonight I arranged to meet my friend Robin on a boat in Vauxhall. I was in Covent Garden and had some time so I decided to walk. First I walked down the Strand to Trafalgar Square. I enjoy taking the time to be a tourist in my city sometimes. 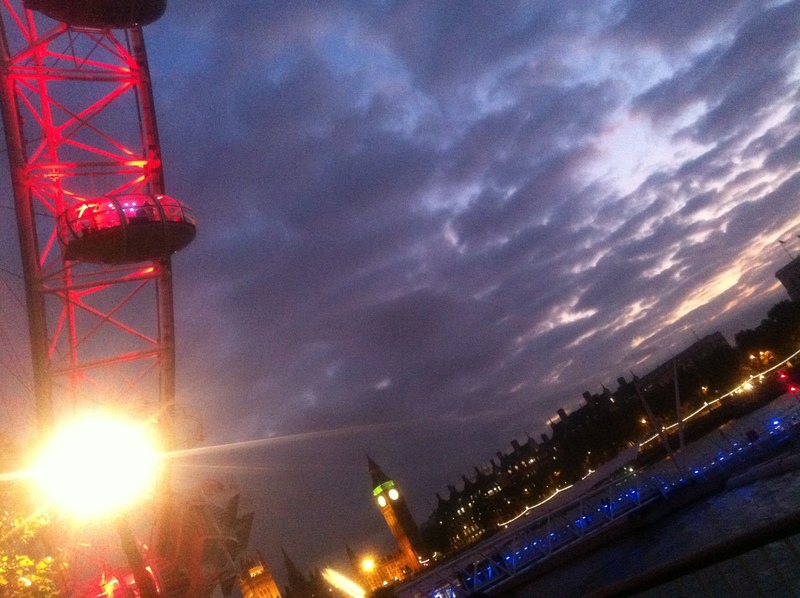 Looking at London with the awe it deserves. 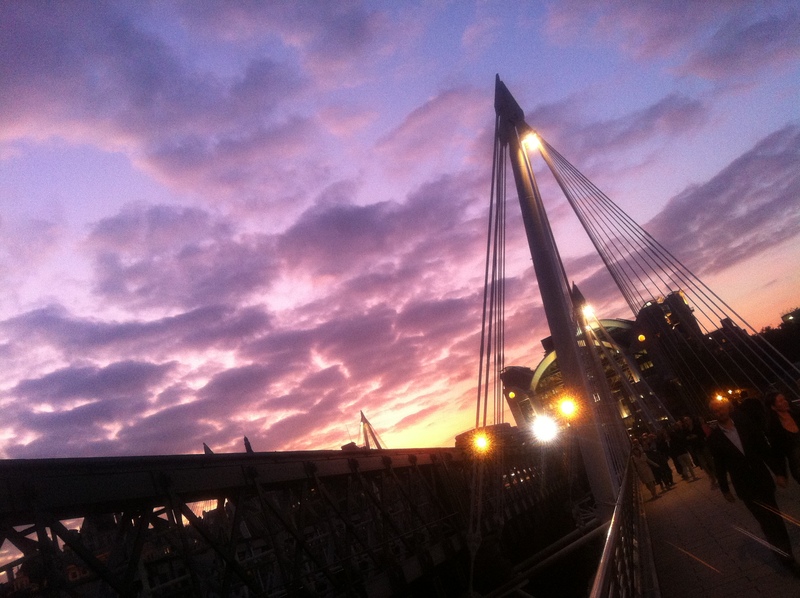 I strolled on down to the embankment and over the Hungerford Bridge. Just happening to glance over my shoulder I noticed the sky behind me. Over the other side I continued along the embankment towards the London Eye. I love the river. This time of year the sunsets are wonderful, especially when it’s been a gloomy day. 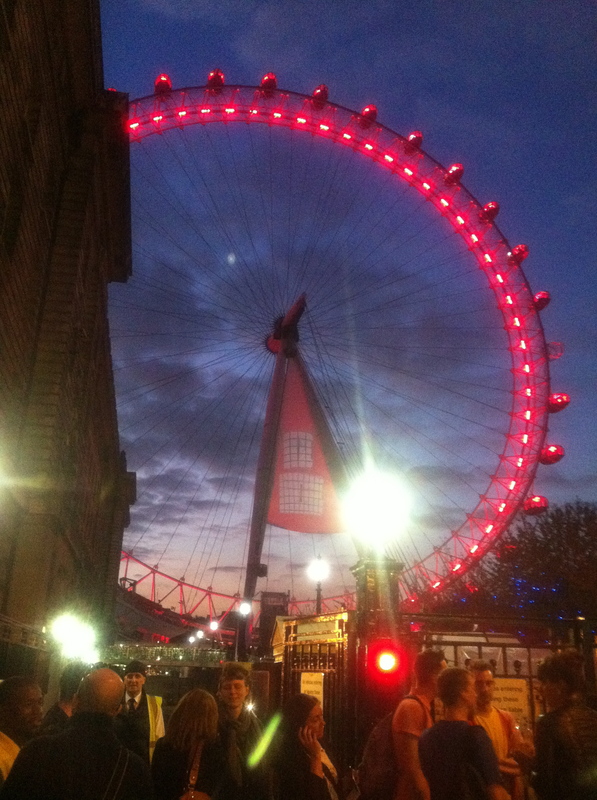 Big Ben in the distance and the brightly lit wheel offer a marvellous juxtaposition of old and new. Cutting away from the river I came across a large crowd of people queuing to get into a silent disco. The wheel loomed magnificently overhead. 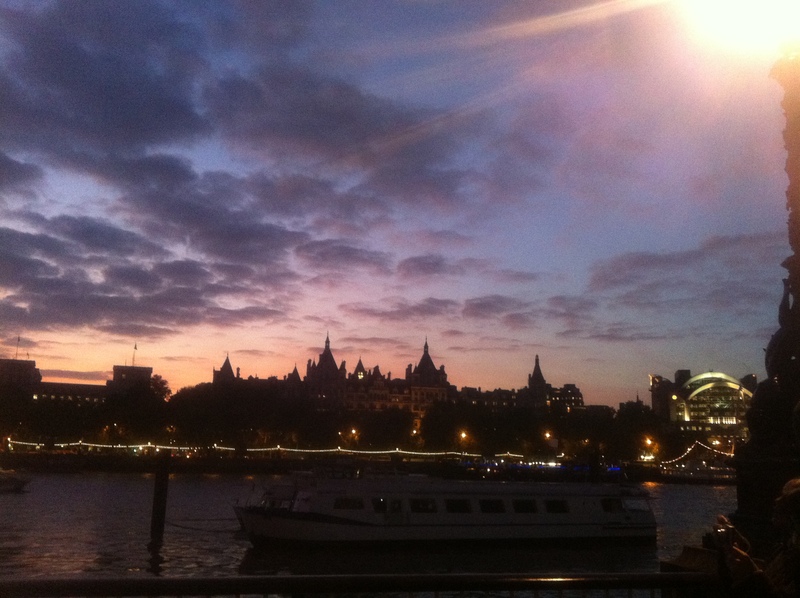 I crossed over Westminster Bridge Road and found myself once again on the embankment walking West. Everywhere you turn in this city is a photo opportunity. I know I have had this same thought about Venice, Barcelona, Paris – but here I am reminded that London is equally majestic. 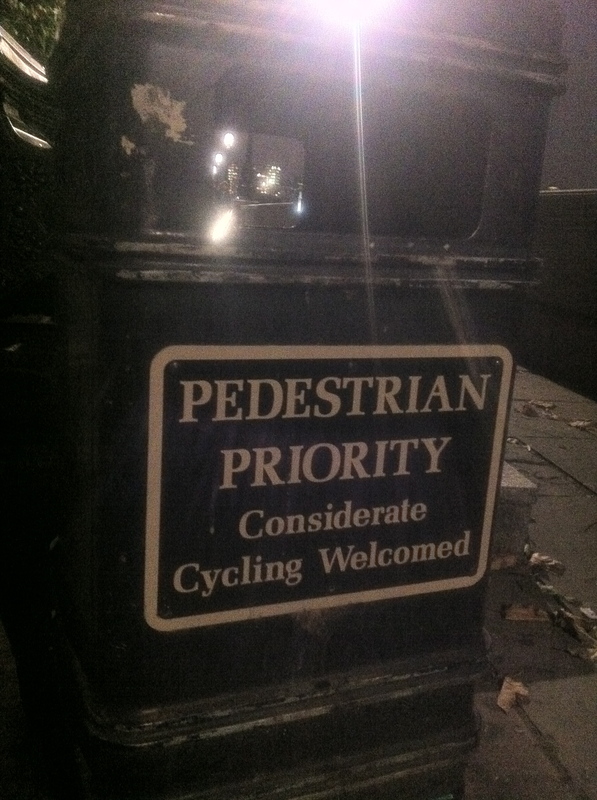 I rather liked this sign I saw on a dustbin as I approached Lambeth bridge. Crossing over the main road I made it to the boat, right on 7pm. I enjoy arriving places on the dot. It is a delicate balance. It feels both like you are sliding into place, and arriving with a bang. Robin was on good form. We drank and smoked and talked about all sorts of stuff, it was delightful. Then we got the bus together and parted company at Clapham Common.